Who says that you have to miss out on all your favorite programming while traveling? Get a nice television for your sleeping area or living area and enjoy all the comforts of home. The space confinement of an RV means that you need to have a smaller television. 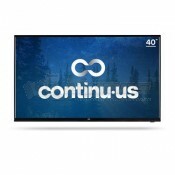 At Dyersonline.com we have a variety options for all your TV watching needs. Not interested in signing up for a service but still want to be able to watch a movie here and there in the evening? Maybe you want to be able to watch a slide show of all the amazing pictures you took on your trip last summer to get you amped up for the next destination? A TV doesn’t have to be a distraction; it can be an excellent tool to keep you connected to loved ones while you are away. Use flicker and view photos of what other family members are doing on a big screen. Or just lie down and enjoy a movie one night with the family and some fresh popped popcorn after a vigorous day of fun and adventure. Television is a staple in most people’s homes but often you want to disconnect for a bit while you are away. A television can still be a part of your life without taking over all your time. Even if you only want it to view some of the home videos you recorded, or you want to watch all your recorded shows. 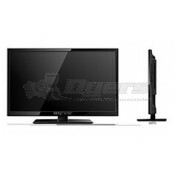 No matter what you are looking for at Dyersonline.com our 12 volt HD television can give you what you need. Our TVs come in a number of sizes to fit your unique space, don’t go without a TV, get a Jensen 12v LED TV and enjoy the luxuries of home on the road.